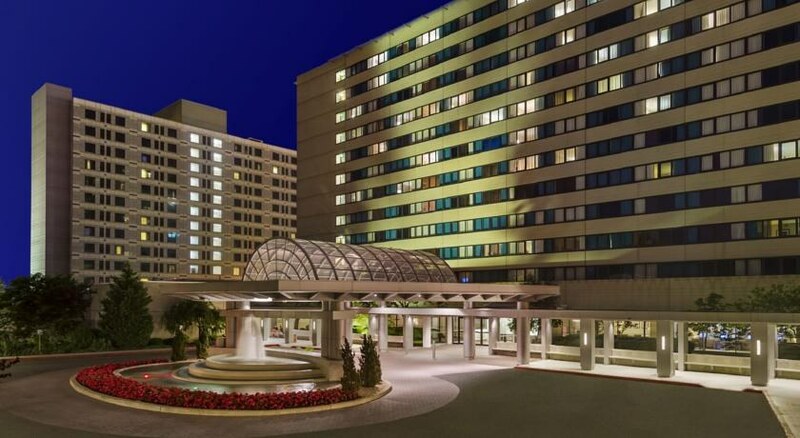 Situated at a distance of quarter of a mile from the iconic JFK airport, Hilton New York JFK is the most convenient hotel, if you are a business traveller or want to stay near Downtown New York. 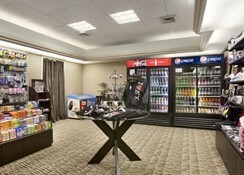 The hotel is located in the famous Queens neighbourhood, with Manhattan less than 24 km away. The hotel has a plush, contemporary feel to it, accentuated by well-furnished guest rooms, executive rooms and suites that come with a host of facilities. 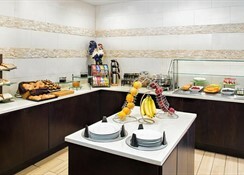 The room charges come with complimentary breakfast and Wi-Fi facilities. This hotel is undoubtedly a great choice for business travellers as well as vacationers, with amenities such as indoor pool, well-equipped fitness centre, American bistro-style restaurant, sports bar, airport shuttle and meeting rooms. The location of the hotel could not have been better. 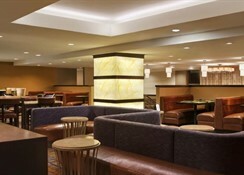 It is in close proximity to the JFK airport and has complimentary airport shuttle. It is located near the corporate offices of DHL, Swissport, GEO Group and Delta. There are tourist attractions near the hotel as well. They include those in Queens and in Manhattan: Jamaica Bay Wildlife Refuge, Resort World Casino, Flushing Meadows, Yankee Stadium and Aviator Sports Complex in Brooklyn, just to name a few. The rooms of the hotel are very well put together. They are minimalist in décor and come with king-sized or queen-sized beds, stunning views of the New York skyline and en-suite bathrooms. 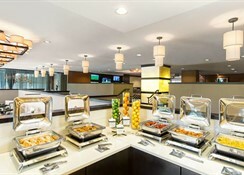 If you choose executive-level room, you get complimentary breakfast and evening hors d'oeuvre. There are three types of room: guest rooms, suites and executive rooms. There are also a number of accessible rooms to make our guests with disabilities feel at home. 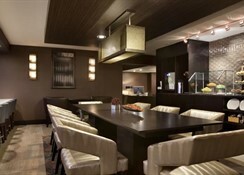 Hilton has come up with the just the right kind of dining options for jet setters. 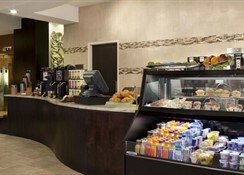 There is a snack bar at the lobby, which serves Starbucks coffee and salads and sandwiches. This is the perfect go-to dining option for those who are busy and just want something to grab and go. For a more relaxed lunch and dinner options try the hotel’s 144 Restaurant, which is known for its creative menu options. You can also have your food at your room. Just because you are on the go, you don’t have to miss your workout. There is a pool and a fitness centre within the hotel. The pool is indoor, while the gym is well-equipped with all kinds of exercise machines. There is also a business centre with facilities such as audio/visual equipment, fax and photocopying services, printing services and express mail services. These make the hotel the perfect destination to conduct your business meetings and do commercial product launches. Outside the hotel, there are plenty of opportunities to enjoy the sights and sounds of New York. Just a short ride from the hotel will take you to the heart of Manhattan, where you can enjoy some of the best museums, art galleries, boutiques, restaurants, bars and theatres in the world.